Life in London is nasty, brutish and short. This game more or less relates to the sad lives and hard times of persons living in late Georgian London – that is, the city is more or less London, the individuals concerned are more or less persons, and King George is more or less late. The year is 1830. A roleplaying game usually sends characters on an exploration, in which they seek elusive treasure through uncharted jungles, ruins and dungeons, overcoming obstacles and whacking monsters with magic or astounding technology. Such things are sadly rare in this game. 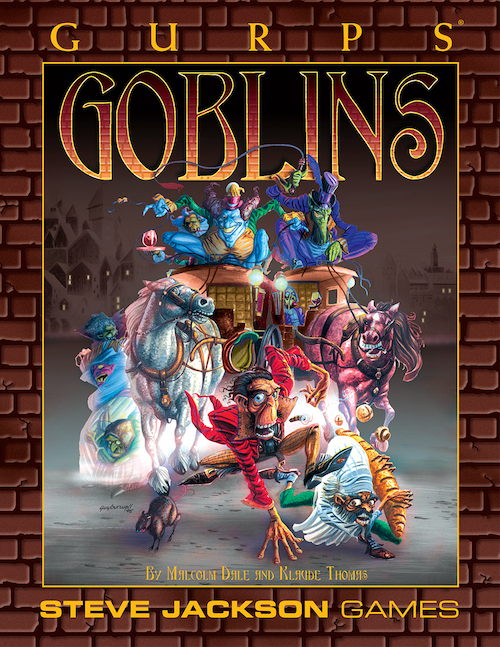 GURPS Goblins is set in a city, where every square inch has been trod by one and a half million pairs of feet, and all obstacles are marked on a handy street map. The ruins and dungeons are far from uncharted – the only creature who never explores them is the landlord who rents them out. The magic is dubious. The technology isn't astounding. There are however plenty of monsters, in every conceivable shape and size. They live in the characters' houses; eat their food; buy groceries at the same market. Many of them are relatives. 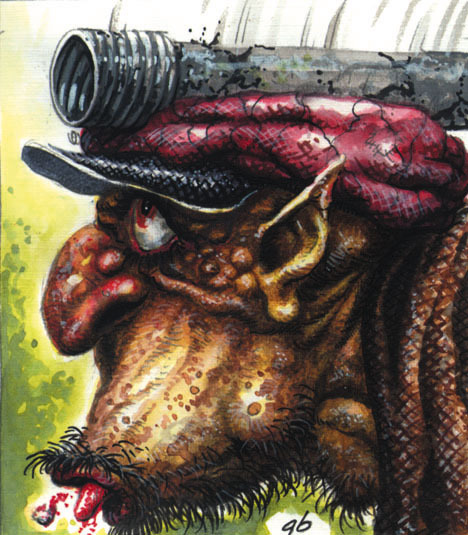 The characters of GURPS Goblins roam well-worn, familiar streets in a sea of unwashed, diseased rogues and villains. 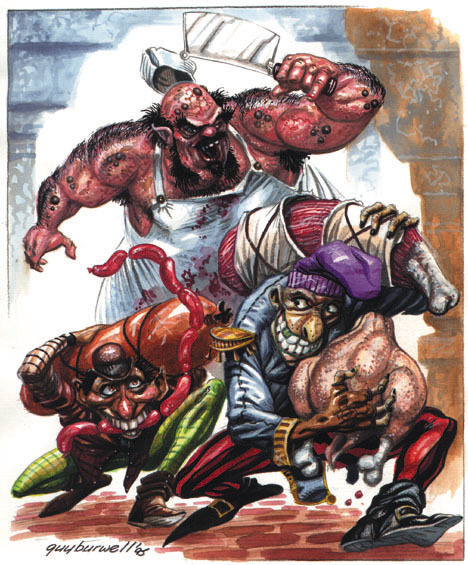 The characters are unwashed, diseased rogues and villains. They seek the same elusive treasures that all do – gin, glory, and bags of money. GURPS Steampunk – This book combines the mood of cyberpunk with the setting of an alternate Industrial Age, where computers run on steam power, walking colossi stalk the battlefields, flying ironclads rule the skies, and science is the new frontier. GURPS Screampunk – Warning: Contained in this slender volume are Horrors so great that Unmarried Women, or those in Delicate Condition, should read with Great Caution, and Protective Eye Wear if available. 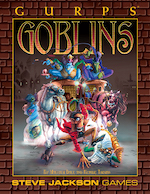 Goblins: An Adventure in the Gutter – This adventure cut from GURPS Goblins appeared in Pyramid #20. Designer's Notes from Pyramid #21.